A UWS drawer truck tool box gives you the perfect combo of security and organization for small items and tools. We offer drawer boxes as well as a truck tool box with drawers and an integrated storage chest. 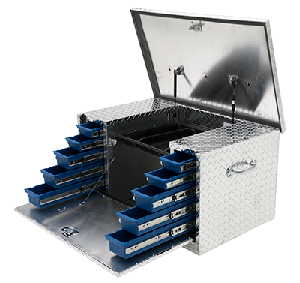 We also carry a wheel well tool box option with integrated drawers.